Dave Stone is a Australian Singer/Songwriter/Guitarist ~ Blues & Roots artist. Dave has gained a good reputation & excellent reviews for his energetic, heartfelt live performances! With his “Bottle Neck” slide playing, he’s proven himself to be a powerfully intricate guitarist with a strong wholesome voice! Dave is gaining considerable respect as a gifted songwriter with something meaningful to say. For the last three years Dave Stone has held a Residency at The Cotton Club Shanghai one of Shanghai’s most respected and established live Jazz/Blues venues. Dave has recently returned to Australia to start work on his upcoming album and start performing back in Australia. 2013 saw Dave perform at the Japan Blues Festival for the first time and more recently in Japan this March touring Okinawa.! Dave received rave reviews on Okinawan, Nagoyan and Aomori Radio Shows. 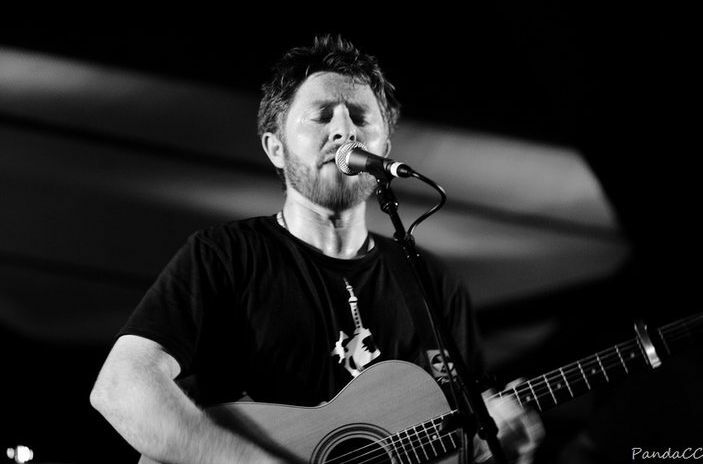 2005 saw Dave represent Australia at the Aichi World Expo in Japan and more recently at the 2010 World Expo in Shanghai, China where he held a residency at the Australian Pavilion’s own house band “The Sandbar Band alongside with Lee Hardisty, Leon Tussie and renown Max Hay. “The Sandbar Band” supported touring acts to the pavilion such as Jeff Lang, Dan Sultan Band, Mark Wilkinson, Hannah MacKlin, Darryl Beaton Band, George Washing Machine Trio, William Barton, Deep Blue Orchestra, Martinez Akustica, Stringman Sassy, Michelle Martinez and Fiddlers Feast.